Textiles Minister Smriti Zubin Irani participated in a cleanliness drive under the Swachhta Hi Sewa campaign at Okhla industrial area in New Delhi today. The programme was organised by the Apparel Export Promotion Council (AEPC) to spread awareness on the importance of cleanliness. 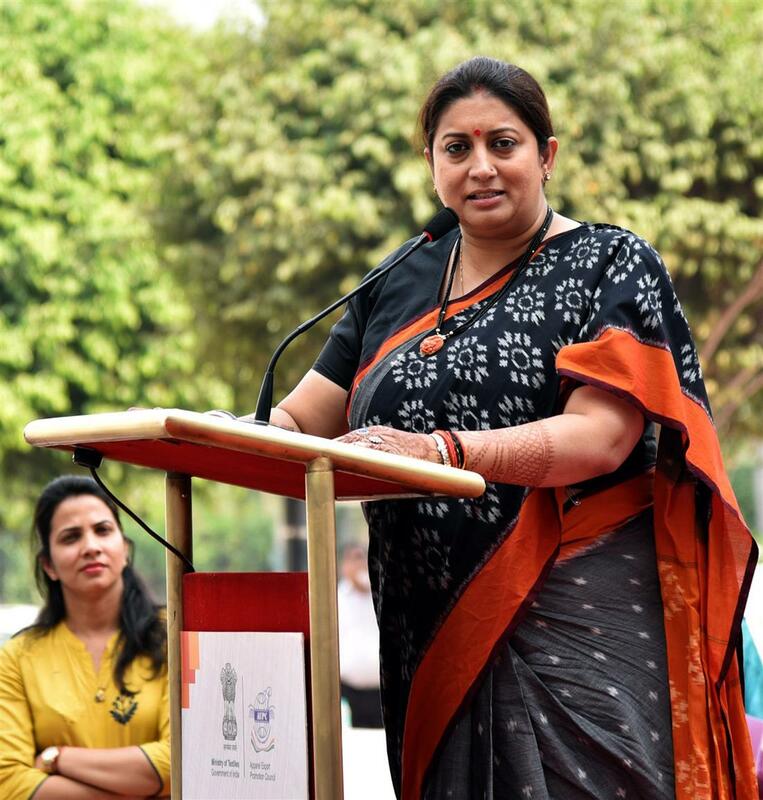 Speaking on the occasion, Ms Irani said participation of AEPC and the apparel industry is a clear message not only to the country but to the world that India had resolved to build a clean and healthy nation. Referring to making cloth from waste material, the Minister said the garment industry, in this way, is contributing to sustainable and clean living. She urged the people to involve themselves in Shramdaan activities in their localities for a clean and better future.